Stroll through one of the many parks and green spaces in a newly designated area in Toronto known as The Garden District. 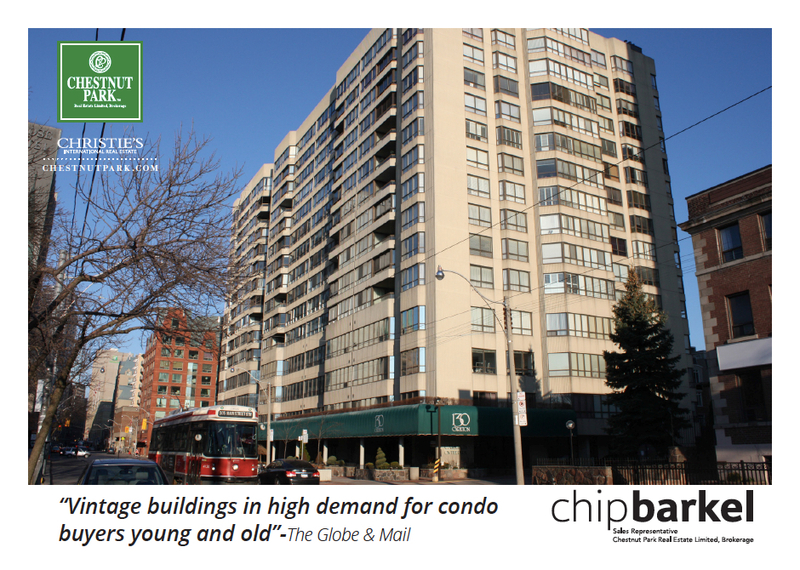 The district is located in the downtown core between Wellesley and Queen streets; Yonge and Sherbourne streets and encompasses many gardens and parks, borders historic Cabbagetown, and is minutes Bay Street office towers. The focus of the area is Allan Gardens with its abundance of gardens in the summer and a greenhouse/conservatory packed full of rare tropical plants from all over the globe are nurtured inside five greenhouses covering 16,000 square feet. 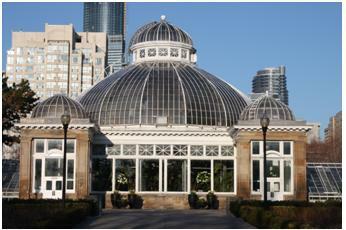 Allan Gardens (founded in 1858) is one of the oldest parks in Toronto. In addition to the conservatory (greenhouse), it hosts a playground and two fenced off-leash areas for dogs. It is open every day of the year and is free. The trees in the park represent the northern tip of the Carolinian forest with species such as black cherry, American beech, red oak, sugar maple and sassafras. Most are over one hundred years old and a 2008 inventory showed 309 trees in the park. The park is home to three varieties of squirrel, the gray, the black, and, unique to this park, the red tailed black squirrel. 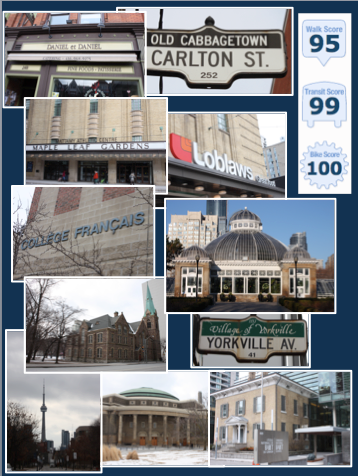 The original Maple Leaf Gardens iconic hockey arena, built in 1931, has been redeveloped into a Loblaws supermarket and athletic facilities for nearby Ryerson University in a historically sympathetic way. The area is a blend of old and new, residential and commercial, houses and highrises, history and new sites all mixed together. Full of historical churches, restaurants, shopping and many other unique venues the area is one of Toronto’s hottest new spots to live and work. Just steps from Yonge Street. 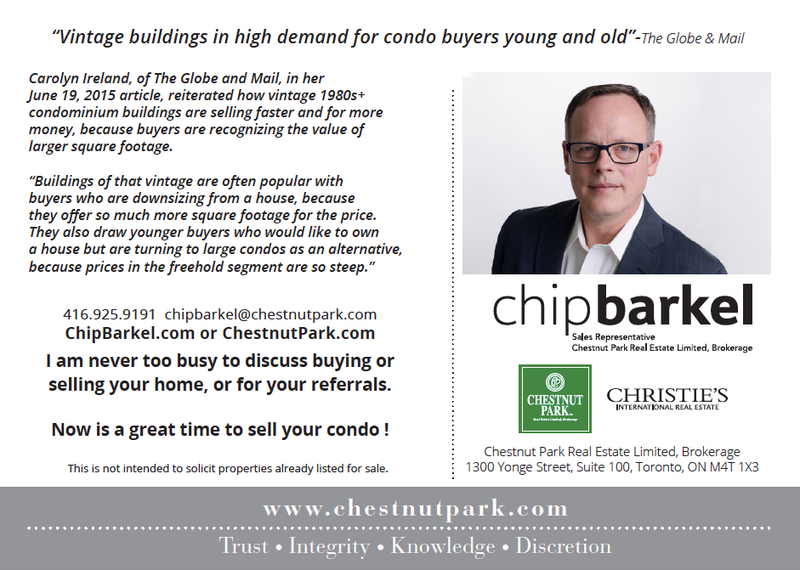 Contact me to buy or sell at 130 Carlton. 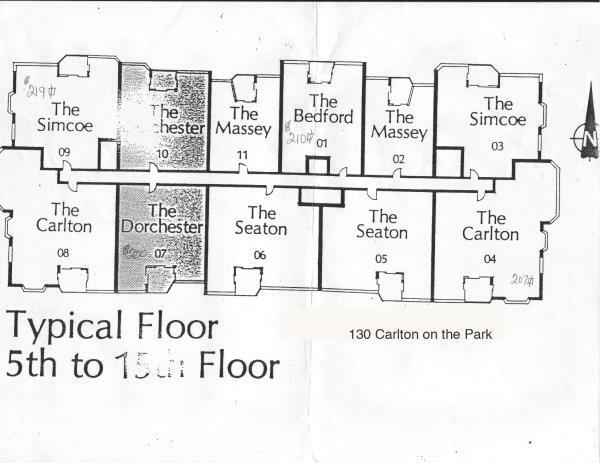 The Bedford 01 2 1,619 sq.ft. The Massey 02 2 1,257 sq.ft. The Simcoe 03 2 + Fam. Rm. 1,823 sq.ft. The Carlton 04 2 + Fam. Rm. 2,531 sq.ft. The Seaton 05 2 2,086 sq.ft. The Seaton 06 2 2,086 sq.ft. The Dorchester 07 2 1,739 sq.ft. The Carlton 08 2 + Fam. Rm. 2,531 sq.ft. The Simcoe 09 2 + Fam. Rm. 1,823 sq.ft. The Dorchester 10 2 1,739 sq.ft. The Massey 11 2 1,257 sq.ft.